The thing about spa treatments is that it’s always a blissful yet ephemeral experience that you can’t quite take home with you. After all, the sense of wellbeing quickly dissipates once we step into the busy traffic or the next meeting. 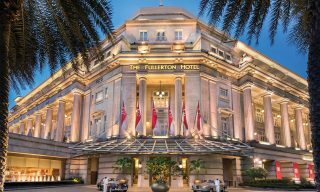 The Fullerton Spa’s new Wellbeing Expert (WE) treatments hope to change that. 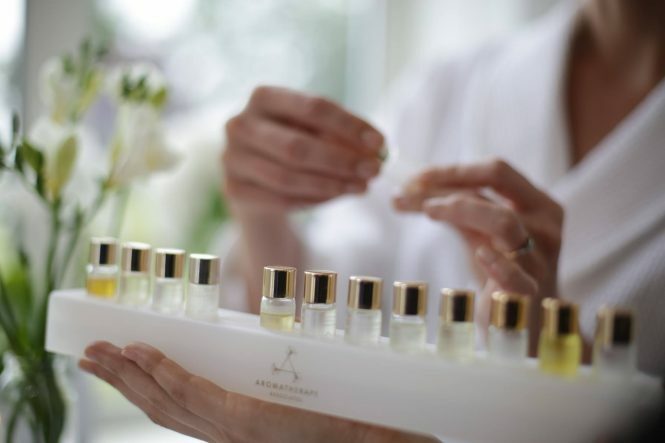 Collaborating with UK-based Aromatherapy Associates, the spa’s set of new treatments is the brainchild of aromatherapy expert Anne Murray. The experience is designed to be one that transcends the treatment room and allows spa goers to continue reaping the benefits even when they return to the daily grind. My own session began with a consultation that helped me to determine which of the four WE treatments I needed. The aromatherapy expert suggested WE Revive, as I’d hoped to feel more calm and grounded, yet at the same time, more invigorated and awake. According to Murray, this treatment is perfect for travelers who’ve just stepped off a red-eyed flight and need to feel rejuvenated for a day of activities ahead. The hour-long treatment included a relaxing facial and an energizing massage, which focused on the back, legs, shoulders, and abdomen. My essential oil of choice, which was determined after a smell test, was the Revive Morning oil. Made of pink grapefruit, rosemary, juniper berry, and pine, its citrusy scent is designed to boost energy. What set it apart from other spa treatments I’ve experienced was how it incorporated mindfulness exercises during the session. At the end, I was asked to say the affirmation, “I am in the now, I own this place and I deserve it.” How very empowering. In addition, we were given suggestions of daily rituals to continue on our own. To my pleasant surprise, mine was something I’d already been doing—drinking a full glass of water with a slice of lemon first thing each morning. 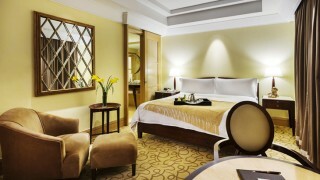 The Fullerton Spa’s WE Treatments are priced at US$120.